Techno Color Corporation is promoted by a group of people with sound technical knowledge and financial expertise. Factory is located at Vapi, in beautiful valley on the banks of River Damanganga surrounded by hills. It falls under the jurisdiction of Gujarat Industrial Development Corporation (GIDC). Based in Vapi, Techno Color Corporation has been successfully serving the textiles and leather industry with the supply of high quality dyestuffs since 1992. TCC is specialized in manufacturing various dyestuffs of superior quality and exporting products to Europe, America and Southern Asia. Our Acid dyes have established their niche on the platforms of utility and cost effectiveness. The company undertakes stringent quality control measures ensuring supreme quality acid dyes. Since Founded, TCC has been developing and attained a high standard in wide range of dyestuffs, but has been constantly developing new dyestuffs, taking advantage of new technology. TCC has been continuously absorbing and adapting technique from both home and overseas. Besides the never-ending process in new development, the priority has been always the product quality. Technological development and an increasingly demanding market led TCC to upgrade and enlarge its manufacturing facilities. Presently the company has a modern plant, Lab, Administrative office and warehouse all furnished with state-of-the art equipment. Techno Color Corporation (TCC) - Specialized in manufacturing various Acid Dyes and Allied Dyestuffs of superior quality. We are the sterling and experienced manufacturer of acid dyes & allied dyestuff also the exporter of acid dyes & allied dyestuffs across the globe. 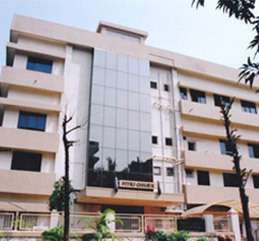 TCC, best Indian Acid Dyes Manufacturer. One of the best Exporter of High Quality Acid Dyes from India. At TCC, We have always focused particular attention to meeting our customer’s needs, by controlling the purchasing and production processes and assuring continued adherence to safety standards and environmental protection rules.